The client hired Grady Interiors to create a new paint palette to freshen and update their home. 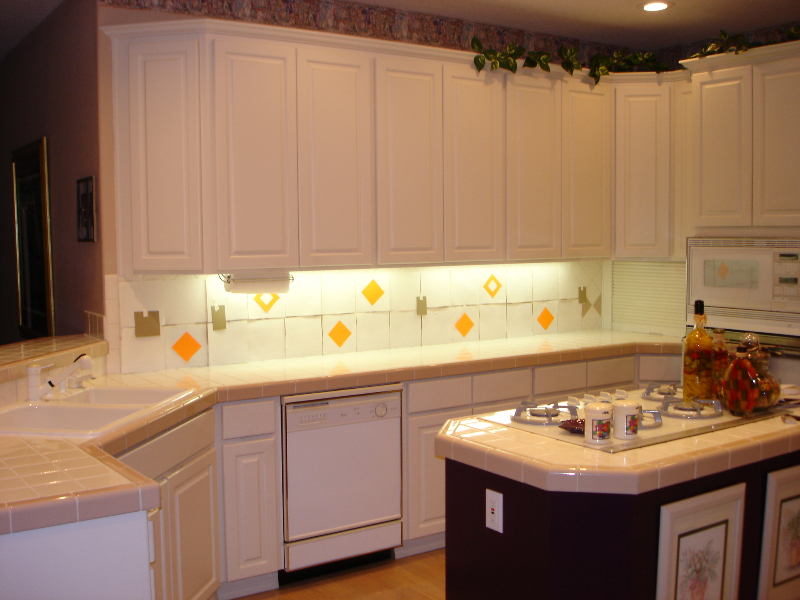 As we progressed through the home, the clients wondered if there was a way to update their kitchen without completely replacing everything. We had already repainted the walls to coordinate with the existing wallpaper boarder. 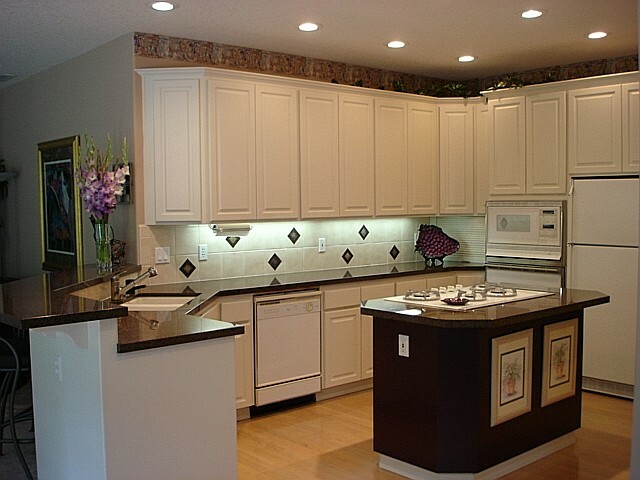 The white cabinets were still in very good condition, but the tile countertop and backsplash looked dated. 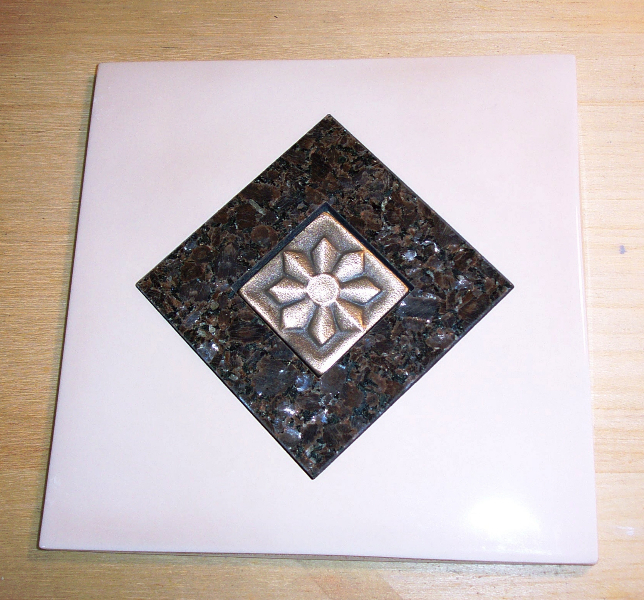 We replaced the countertop with slab granite, enlarged the cooking island to allow for better work space, and designed a tile backsplash with a custom inlay to unite the cabinets and countertop together. The original sink was replaced with a new sink mounted under the counter and new faucets were installed. 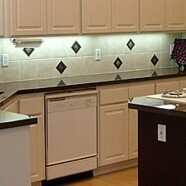 All existing appliances were reused. The result is an updated kitchen with custom touches that is colorful, inviting, slightly dramatic, more usable and easier to maintain. We are very, very pleased with the condo. It just looks great! We are just thrilled. Thank you so much for all your work.